So, you may or may not know of my musical career as Big Mama Lele. 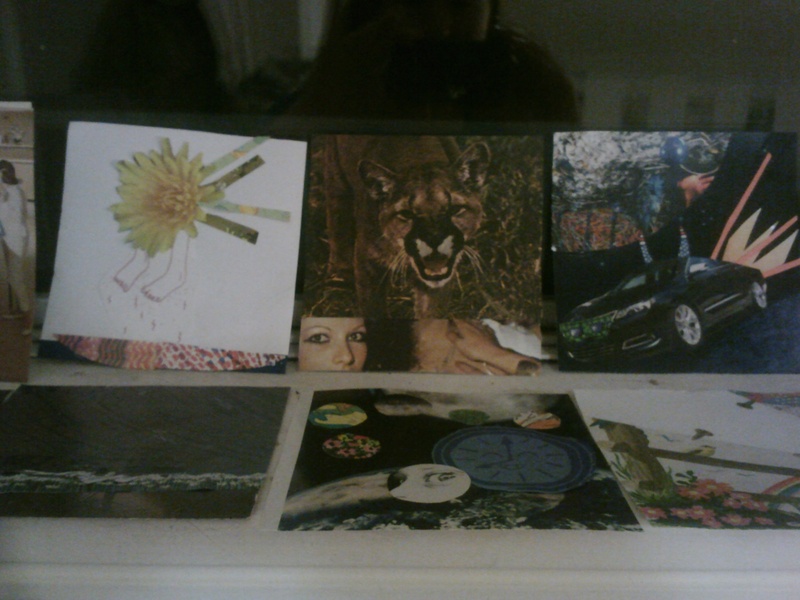 I have been up late, gluey fingers and tiny bits of paper everywhere, making custom CD artwork. The album is called GDFC, because that is chord progression for all of the songs. Each of these unique collages is called something different, beginning with the letters GDFC, to celebrate all you can do and say with only 4 chords. (Top, Centre) Growling Dominant Ferocious Cougar, Galactic Demonic Fire Car! 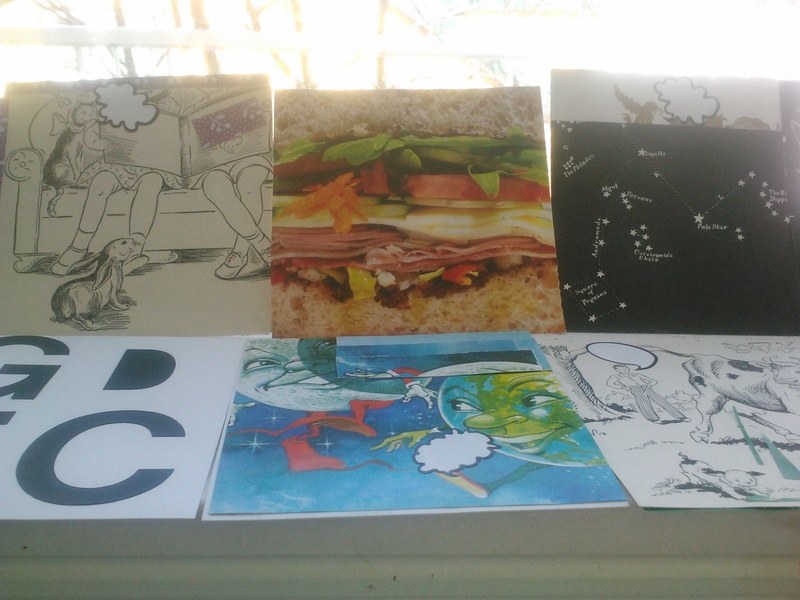 I have made a limited number of collages for GDFC, and they will be available for sale at my CD Release, and afterwards, remaining ones (if any) may be ordered online though bigmamalele.com. Handmade beautiful Big Mama Lele CDs, turned into letters because yes, they are better. Each has a unique stamp, and all the lyrics are one long letter written by a friend.Only $11 at Dean’s Strings in Whitehorse.